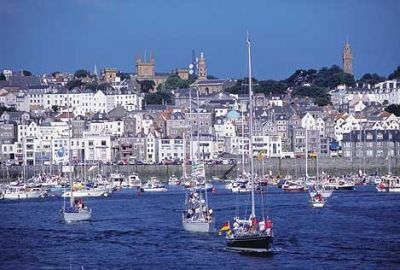 Guernsey can trace its heritage back to before 1066 when it was part of the Dukedom of Normandy. In 1205 the Islanders were given the choice of allegiance to England or France. The option was made to stay with the mentor across the Channel and, whilst various attempts of takeover have been attempted over the years, today the Bailiwick of Guernsey is a British Crown dependency. The Bailiwick embraces the islands of Herm, Jethou, and Lihou and also Alderney and Sark, each of which has its own parliament. Although its defence is the responsibility of the United Kingdom Guernsey is not part of the UK or the European Union whilst it does participate in the Common Travel Area. There is no VAT or alcohol duty. Until the early 20th century French was the only official tongue of the islands, and all deeds for the sale and purchase of real estate in Guernsey were written in French until 1971. With the return of evacuated schoolchildren after the Second World War English became the first language taught at school. Today the French Consulate is based at Victor Hugo's former residence at Hauteville House, the great writer (Les Misérables and many others), a fierce Republican, happily exiled in Guernsey for 15 years. Guernsey is probably best known in the UK for its offshore financial services which account for around one-third of the island's turnover. Tourism has always been important and represents a slightly more sophisticated holiday than the neighbouring island of Jersey. There are all year round air services from the mainland and if you do not want to go by air, ferry services operate from Portsmouth, Poole and Weymouth, and various French ports. The weather can be glorious but the Channel Islands are prone to the occasional fog. Not a worry in terms of accommodation. If you cannot get out the incoming holidaymakers cannot get in. By 2014 the re-built airport will have more advanced technical facilities and a longer runway, which will improve things (see BTN 30 July). No passports are required for UK citizens but airlines do insist on some sort of photo identification. BTNews always recommends taking the local Big Tour sightseeing bus, or its equivalent, when arriving for a holiday. Guernsey is the exception. The local bus costs one pound sterling (British and local pounds sterling have common value and usage) per journey. For that sum you can go completely around the island. It takes about one hour. Car hire is cheap and a small vehicle is recommended. Once off the main roads some of the lanes are quite narrow and one should be prepared for reversing at various times to let cars pass by. But nobody is in a rush and there is a 35mph speed limit. Parking is free with local restrictions. Bike hire is popular. St Peters Port, the island capital can be best described as an oversized village or small town, nestling in the hillside around a small port with marinas and a docking area for the ferries. The harbour is not big enough for even small cruise ships but uniquely it is probably Britain’s third busiest cruise port with 100 ships this year booked to moor in what is called 'The Roads'. Coming across in a ship’s tender is great fun. There are day trips to all the islands from the busy quayside. Guernsey has a full range of hotels ranging from its only 5-star property, Old Government House, to homes offering bed and breakfast accommodation and self-catering, some even with indoor swimming pools. 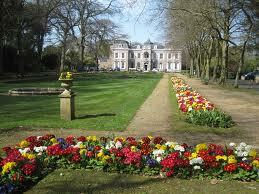 When our children were young we sometimes holidayed at the then new St Pierre Park. It was a pleasure this time round to visit the recently very well renovated property, with its mature grounds, indoor swimming pool, and nine hole three par Tony Jacklin designed golf course. The St Pierre Park is on the outskirts of St Peters Port. Perched on the top of a hill in the capital is the Duke of Richmond (See BTN 30 July). The setting is quiet and ideal, between Cambridge Park, with its children’s playground and the lovely downhill walk that is Candie Gardens. Guernsey is not for those who want a riotous holiday. It is a quiet place but a lot to do depending on your interests. 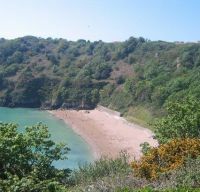 Very popular are the 30 miles of cliff top walks and the Tourist Board map offers a series of routes depending on your ability. 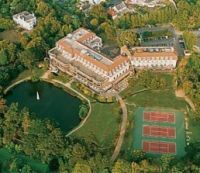 There are four golf courses, a whole variety of water sports, sea fishing, riding schools and a range of activities for children. 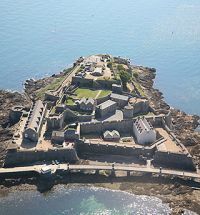 If you are into history Castle Cornet overlooking the harbour is a must, and likewise the German Occupation Museum, a dark period for the Island. Liberation Day is celebrated on 9 May (as against 8 May on the British mainland). Winston Churchill decided in 1940 that the Channel Island had no strategic importance. All over the islands one can see remains of the fortifications very expensively constructed in terms of manpower by the Germans. They were a complete waste. In the English Civil War Guernsey sided with Parliament and Jersey was the last Stuart stronghold. The Museum and Art Gallery takes you through the island history. If shopping is your form of holiday, as you would expect as a centre of finance, Guernsey has quality designer shops in abundance, including many of those you will find in a mainland shopping mall, often far cheaper. For unusual antiquities, gift ideas and souvenirs of Guernsey, head to St Peter Port's Old Quarter area, where you will also discover some rather exclusive fashion boutiques and jewellers. Nearby, both Mill Street and the Commercial Arcade are also known on Guernsey for their plentiful shopping opportunities, with shops specialising in designer goods, interior homewares and art works. One very worthwhile short visit is the Little Chapel, possibly the smallest church in the world. It was built by Brother Déodat who started work in March 1914. His plan was to create a miniature version of the famous grotto and basilica at Lourdes in France. 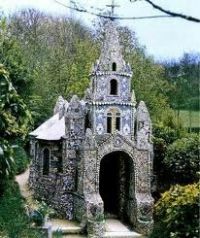 The Little Chapel is beautifully decorated with seashells, pebbles and colourful pieces of broken china. There is a full programme of events virtually through the year.